For the first time in years, Middle East travel is once again on the rise. And the long-conflicted region isn’t just for the uber-adventurous: Some places in the Middle East are a perfect substitute for over-crowded destinations, from Rome to Sydney. Here’s why families, solo travelers, and luxury-seekers are heading to these places in the Middle East. Editor’s note: Opinions vary on which countries are considered part of the Middle East. The destinations below are included in Encyclopedia Britannica’s definition of the region. Looking for an affordable alternative to overcrowded Rome? 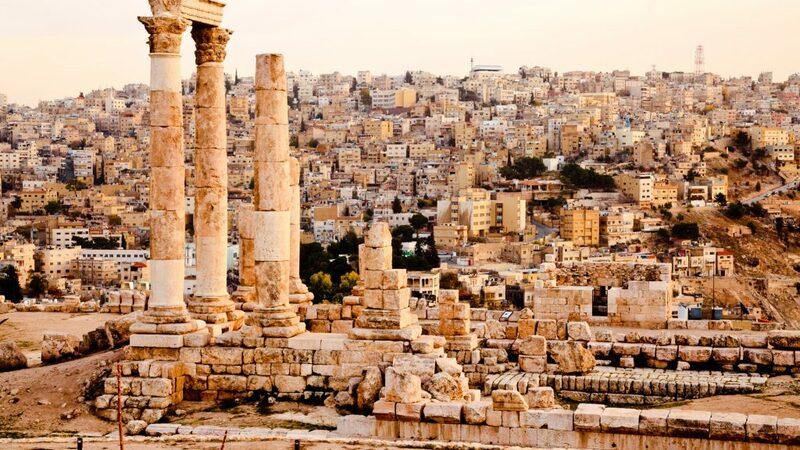 Jordan (seriously) has as many ancient ruins, including Amman’s own massive Roman Amphitheater, 8th-century Umayyad palace, and the Citadel’s Temple of Hercules. The Jordan Archaeological Museum’s Dead Sea Scrolls, uncovered in a West Bank cave in the 1940s, date back to biblical times and have been called “the most important discovery of the 20th century.” And, of course, most people come through Amman for Petra, which is three hours south. Amman’s tantalizing Mediterranean food can also certainly rival Rome’s, from cheap falafel, shawarma, and mezze to family-style meals of mansaf (the national dish of meat and yogurt) and maqluba (spiced meat, vegetables, and rice). Jordanian beer and wine are also worth exploring at Carakale, a brewery outside Amman with a view of the Blue Valley, and Jordan River wines are available in bars across the city. And, in case you haven’t already heard, Jordan is safe for travelers. 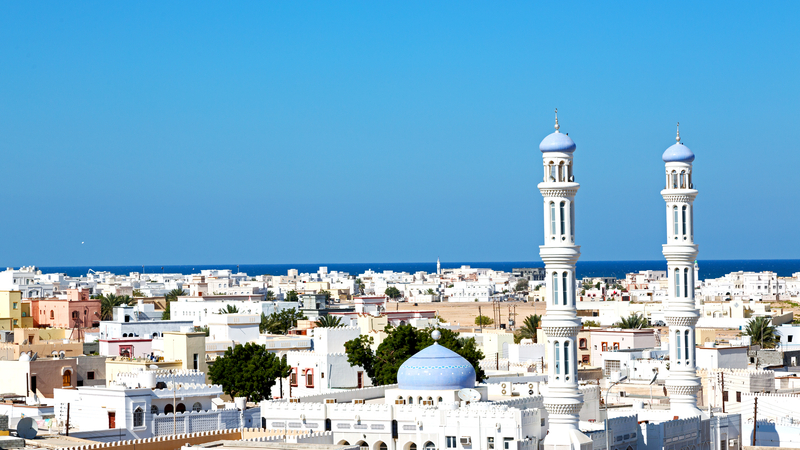 Another safe haven in the Middle East, the Gulf city of Muscat, Oman, only recently joined the group of places in the Middle East on American travelers’ to-do lists. Oman is perfect for first-time Middle East visitors and solo travelers seeking a quiet, waterfront cultural hub of picturesque mosques (the jaw-dropping Sultan Qaboss Grand Mosque is open to non-Muslims), expansive beaches, and 16th-century Portuguese forts. The city and greater Oman recently rose in popularity among adventure travelers thanks to G Adventures’ new eight-day Highlights of Oman tour, which includes several meals, accommodations, private transport, and expert guides, from $2,299. Pyramids aren’t the only reason to visit Egypt. Want to experience some of the best snorkeling in the world, without the worry of bleached reefs or overcrowded beaches? Give Australia’s dying Great Barrier Reef a break and head instead to the Red Sea’s family-friendly Egyptian shorelines. 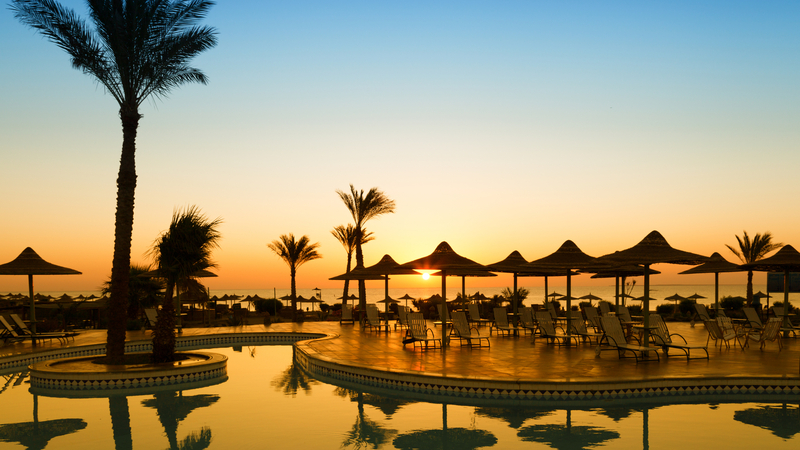 The bustling resort city of Hurghada and lesser-known El Gouna are respites from crowded Cairo. Here you’ll find abundant coral reefs, sandy beaches, a massive aquarium and zoo, and water parks. Hurghada attracts plenty of European tourists thanks to direct flights from the U.K., but still sees far fewer tourists than the Caribbean or coastal Australia’s reefs. Hurghada’s Makadi Water World was recently named one of the Top 10 Water Parks in the World according to TripAdvisor (SmarterTravel’s parent company) reviews. Want to surf sans crowds and indulge in culture offerings beyond just palm trees and towering resorts? While the desert-dominated nation of Morocco might already be on your travel radar, it’s probably not there for surfing. 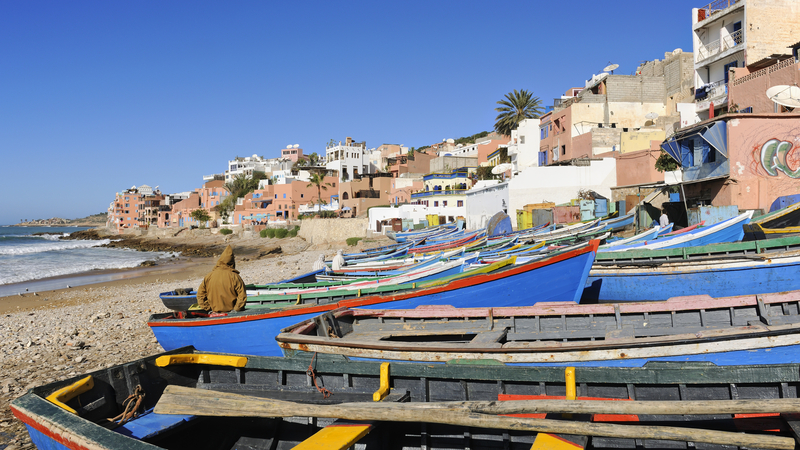 The colorful fishing village of Taghazout, Morocco, however, is one of the best places in the Middle East to hang ten thanks to its aptly named surf break, Killer Point, and a unique Middle Eastern surf community of hip cafes and surf shops. Taghazout’s position in little-explored southern Morocco is also perfect for hiking thanks to Paradise Valley’s desert trails that lead to swimming holes for cooling off. But you’ll want a guide to help you navigate the less-traveled route. Intrepid Travel’s Morocco Atlas and Atlantic itinerary zig zags to Taghazout from Marrakech for just $765, so you can add the eight-day surfing journey onto a quintessential Morocco trip that includes busy Medinas and bucket-list-worthy mosques.